The fact that drug overdoses are the second largest cause of premature death from unintentional injuries in the US (for example, in 2010 there was 38,329 drug overdose deaths) is not a surprising statistic. What may surprise readers is that of these deaths 22,134 were attributed to prescription drugs. 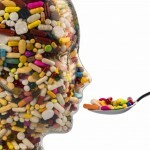 Indeed, almost one and a half million emergency department admissions each year are due to prescription drug abuse. Overall, it estimated that 16 million Americans (aged 12+) have used at least one type of prescription drug for non-medicinal reasons in the previous year. Pain killers (largely opiates) are the most commonly abused prescription drug with 5.5 million US residents using them at least monthly. Sedatives and tranquilizers are the next most common (2.6 million) followed by stimulants (e.g. 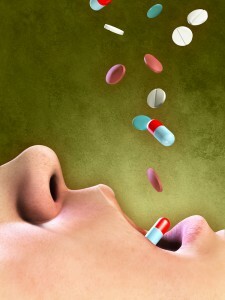 Adderall and Ritalin) as the third most common (1.1 million). The current document attempts to create a coherent policy for dealing with this challenge, drawing upon the academic literature and the experiences of health professionals. The American College of Physicians (ACP) Health and Public Policy Committee developed this series of recommendations due to the significant effect prescription drug abuse is having on US public health. The policy position is based upon a literature review as well as input from members of the college and non-member experts. The final recommendations were reviewed and approved by the colleges governing board. The ACP also notes that all these requirements should not result in significant increases in the administrative burdens placed on health professionals. This review highlights not only the extent to which prescription drug abuse is a problem but also just what a challenge it represents to health professionals in the US. The recommendations are walking on a tight-rope between being punitive to abusers and being punitive to genuine patients. Overall enactment of these policies certainly would help to mitigate prescription drug abuse. However central to the whole argument is that all of these recommendations must be coordinated, without all of the proposals being enacted together any gains may be minimal. Indeed, the more fragmented nature of the health system in the US means it may be hard to get the degree of coordination required. But what about prescription drug abuse in the UK? Statistics indicate it represents a problem with Benzodiazepines (284), Tramadol (175) and Diazepam (207) all causing a significant number of deaths each year. It seems strange to the Elves that we never hear of these deaths while one case of an individual dying from “new” psychoactive drugs (e.g. mephedrone) results in a deluge of legislation and press coverage while the issue of prescription drug abuse seems largely ignored. A year on from the publication of our previous report, which highlighted the lack of knowledge on this subject, there have been no improvements in the understanding or the collection of data around the issue of dependence on prescription drugs. In response, the BMA have embarked on a program investigating the prevalence of this problem in the UK, which will surely make an interesting future blog. Jones CM, Mack KA, Paulozzi LJ. Pharmaceutical Overdose Deaths, United States, 2010. JAMA. 2013;309(7):657-659. doi:10.1001/jama.2013.272. Drugs: new psychoactive substances and prescription drugs (PDF). House of Commons Home Affairs Committee, Twelfth Report of Session 2013–14, HC819, Dec 2013. Paul is a Lecturer at the University of Liverpool. His broad research interests focus on automatic and controlled cognitive processes in addiction. He is particularly interested in self control and how the perception of being in certain states can influence someone’s ability to regulate their behaviour. He also works in Forensic Psychology, analysing the impact of interrogation techniques on interview yield. He has recently started tweeting about his work and other work in addiction (and beyond) (@ChristiansenLiv). @Mental_Elf and link this study with NCISH report suicide in primary care! Good blogs Elf! @Mental_Elf Duh because illegal, non-taxable drugs are baaad mmmkay. And the media are sensationalist cunts. @Mental_Elf perhaps parlty because of hyped up press releases? @Mental_Elf @CoyneoftheRealm Um, what? thousands of headlines on prescription opioid “epidemic”— covered more than chronic pain! @CoyneoftheRealm @Mental_Elf that provides no evidence that the problem is undercovered by the media!